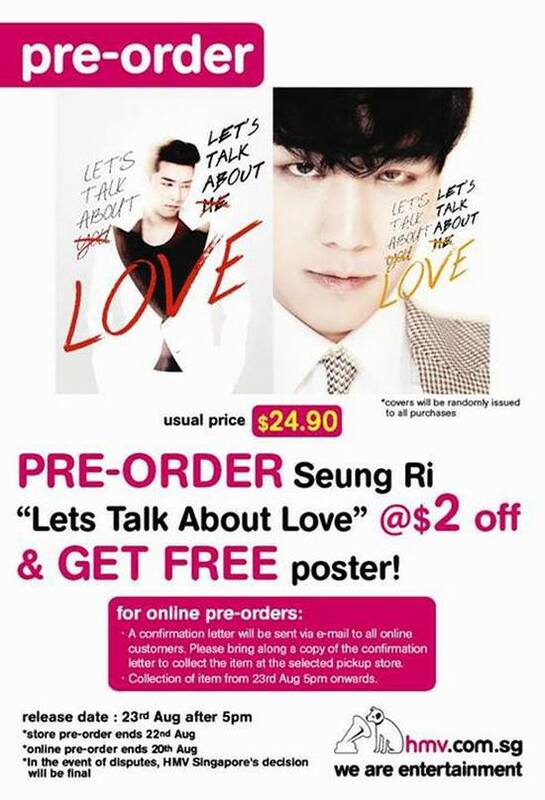 Pre-order Seung Ri- Lets talk about love @$2 off and get a free poster. Covers will be randomly issued to all purchases. You can pre-order via online or in stores too.